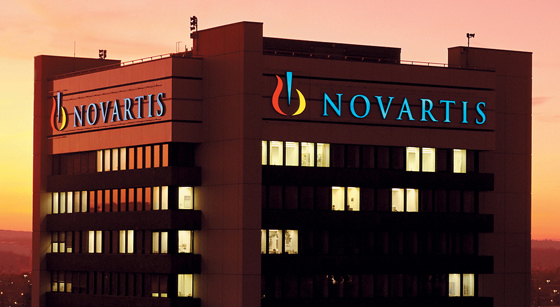 Patients with heart failure who take Novartis’ Entresto report they have fewer symptoms and greater quality of life (QoL) than any non-Entresto-based therapy, according to a registry study. The real-world data - reported at the European Society of Cardiology Heart Failure (ESC-HF) Congress over the weekend - comes from the CHAMP-HF registry of heart failure patients and specifically a questionnaire that examines physical functioning, symptoms such as shortness of breath and fatigue, the ability to carry out social activities, and overall QoL reporting. The results add to a body of evidence Novartis is putting together to try to kickstart payer coverage and prescribing of Entresto (sacubitril/valsartan). The drug was approved to treat chronic heart failure patients with reduced ejection fraction (HFrEF) or systolic dysfunction in 2015 and - after a sluggish start - finally seems to be developing sales traction with first-quarter sales rising 126% to $200m. According to the KCQ-12 questionnaire, patients on Entresto saw “early, statistically significant improvement in health status”, which it said mainly stemmed from improvements in symptom frequency and QoL scores. The real-world evidence adds to hard clinical endpoints from pivotal trials, which showed that Entresto was able to reduce the risk of cardiovascular death and hospitalisation due to heart failure. According to CHAMP-HF Chair Gregg Fonarow of UCLA's Preventative Cardiology Programme, symptomatic improvements and making patients more comfortable are among the key treatment goals of heart failure care. The theme of this year’s ESC-HF was “classical repertoire, modern instruments”, reflecting the fact that most therapies to treat heart failure are well-established and the challenge facing cardiologists is to find the best way to use the tools at their disposal. In that context, improving patients’ symptoms and QoL in a progressive disease such as heart failure is important, as is identifying when their health starts to deteriorate. There wasn’t much to report on in terms of new drug therapies for heart failure at ESC-HF, which is disappointing given its prevalence is rising, primarily due to an ageing population. Professor Petar Seferović of Belgrade University Medical Centre says in a commentary on the ESC website that there is some optimism about potassium-binding agents - a class that includes AstraZeneca’s Lokelma (sodium zirconium cyclosilicate or ZS-9) and Vifor Pharma’s Veltassa (patiromer) which “will be a particularly valuable addition to the clinic if efficacy can be confirmed in clinical trials”. At the moment much of the interest in new drug therapies for heart failure lies in the use of antidiabetic drugs and particularly SGLT2 inhibitors such as Eli Lilly/Boehringer Ingelheim’s Jardiance (empagliflozin), as around a third of patients with heart failure also have diabetes. Prof. Seferović writes that in future it is possible that these agents might be used for the treatment of heart failure in patients who do not have diabetes. “It is currently a big research question and it is hoped that a number of ongoing trials in this setting will help us to find some answer,” he says.